ABOUT SIX WEEKS before he died, Tim sent an email to many of the colleagues he had worked with over the years. He gave it the title Update: checking out. In it, he said “I wish you well in the future pursuit of social justice.” Those words said much about him and set out absolutely the commitment he had. Tim’s working life spanned generic social work, work with children and families, mental health and then adults generally. He was based in Slough for much of it, becoming assistant director, community care. On leaving Slough his portfolio included work with the LGA, ADASS and the Department of Health. Anyone who spent any time with him will remember his patience with tricky situations and issues. But most of all just how much laughter there was emanating from him. A colleague of his said “Tim was such a generous, warm, intelligent person who made the world a better place. As a newbie social worker Tim taught me humbleness, and how to walk the talk of compassion - not just to feel it but also how to act on it in my work. Tim was born in St Helens, his father a vicar for the Church of England. The family moved to Yorkshire when Tim was a baby, his sister was born when Tim was just two. The family lived in various parishes around Yorkshire over the years. He went to Cardiff University and studied English and Philosophy, graduated in 1976 and then on to Edinburgh University where he gained a diploma in social work and the CQSW in 1979. Tim’s first job as a qualified social worker was in 1979 for Slough Borough Council where he worked in a generic area team. I first met him in 1981 when I was a nursery nurse in Slough’s first family centre. Tim was a regular visitor to the centre as his case load included many young families. We became friends when he ‘volunteered’ to appear in a pantomime we were putting on for the families. In 1985, when I returned from Newcastle upon Tyne after completing my social work qualification, Tim proposed. We moved in together and were married in 1989. We’ve lived in Reading for most of that time until moving to Purley on Thames in 2005. We have two children. Millie was born in 1993 and has just graduated from Liverpool University with a degree in Spanish and Latin American studies. Matilda was born in 1995 and is beginning her third year at Sheffield Hallam studying Psychology. Master home brewer. My Dad, a keen home brewer, passed all his brewing knowledge and equipment on to Tim, who was quickly hooked and became skilled in the craft, producing brews for all occasions for family and friends. He has inspired an interest in brewing in various young family and friends and brought about lots of fun. Horse racing. Tim has worked tirelessly on a very complex and detailed analysis of horse racing over many years. Did it work? His answer was apparently, ‘Of course not, it’s gambling!’ It was fun though. Fishing. As with all his interests, Tim put his whole into fishing. Many fishing stories bringing a lot of laughs. Music. Blues, Reggae, Jimi Hendrix. Not always to everyone else’s taste though, but he never tired of trying to convert us. Cooking. Particularly while listening to music with a glass of homebrew. Games. What started off with Go and Kingmaker ended with World of War Craft and Civilisation. Walking. Hated our dog, but enjoyed the walks that dog ownership brought with it. We had planned to complete a walk that we had started last August along the Kennet and Avon canal to Bristol. Tim was first diagnosed with cancer, soft cell sarcoma, in January 2014; this was removed and treatment included a course of radiotherapy. In July 2014 it was found to have returned and spread. Following chemotherapy and radiotherapy, treatment ended and Tim died peacefully as was his wish, at home with just his wife and daughters on May 6 this year. We miss him very much. He was a lovely man. There are so many wonderful things to say about my lovely dad and it’s hard to know where to begin. I’m going to try and talk about some of the traits we all saw in him, and a few of the many great memories I have. I’ll start by talking about how funny he was. His wit was quick and his sense of humour quirky at times. This humour was often best served through his story telling. He had a way of turning any tale into something worth listening to. As a dad, when we were little we thought he was hysterical. He would tickle us until we fell down, dance around the living room with us on his feet, read to us at night with silly voices. As adults, we began to realise how intelligent he was, and I have to admit his jokes sometimes got a little too smart for us but most of time we thought he was as funny as ever. And he would still tickle us to the ground, even after I turned 21. When I thought about how others might see him what always used to strike me is how calm and collected he could appear in any situation, and how the prospect of sitting in silence with absolutely anyone did not phase him at all. Where many of the rest of us would feel obliged to chat away and diffuse any awkwardness, my dad was more than happy to sit without feeling any of this. This made him great in uncomfortable situations like talking to my landlord up in Liverpool about the state of the house when I moved in, and navigating the many university open days that I took him along to. I think that how comfortable he seemed made others comfortable too. I’ve touched on it, but something that you will all have recognised in my dad was his wisdom and depth. He had acquired knowledge on many things and pursued an interest in eastern philosophy and poetry. It always occurred to me that if there is such a thing as old and young souls, my dad’s must have been around a long, long time, as his wisdom, to me at least, knew no bounds. He always knew what to say to help resolve situations and that made me feel very secure. Before he died, Matilda and I didn’t really have a proper understanding of just how respected and appreciated Tim was in his working life. We have received so many lovely messages commenting on his integrity, his innovation, his ability to liven up a working environment and his undying passion for social justice. He was modest and never would have bragged about his impressive reputation so we are so pleased to have had the opportunity to learn about this side of him. We are so, so proud of him, even more so for hearing that others thought he was as great as we did. I don’t have the time to talk about all the memories I have of my dad, but there are some things that must be mentioned. His love of beer and brewing, his interest in fishing and horse racing and his eclectic and extensive music collection that was so important to him. I remember swimming with him and Matilda on Sunday mornings when we were very little, sitting around: the four of us and the dog on Christmas morning, dad on the sofa trying to work out how to use whatever bit of technology one of us had been given that year. Listening through the wall to him cooking, reggae and ska music blaring out from the kitchen with his voice singing along loudly in the background. Sitting late into the night just the two of us watching old episodes of West wing and detective dramas with a packet of biscuits and a glass of something. Most recently a trip the four of us took to Sheffield for Matilda’s birthday, and enjoying drinks and meals as a group of friends and peers rather than just as parents and their children. I’m sure there is so much more that should be said, but it all boils down to how much we loved him, and how much he loved us. Our Dad looked after us. He gave us the freedom to explore and make our own mistakes, but he was always quietly keeping a careful eye on us so we could go back to his safety net if we needed to. He made me laugh until my belly hurt, smile until my cheeks hurt, tickled me until my ribs hurt, but would do his best to ensure that this was the only hurt I would ever feel. Our dad was so clever, even after I moved to Sheffield he was always the first person I’d call if I was having trouble with technology or didn’t understand something I’d been taught. Still now, when I find myself confused, my first thought is to ask my dad. He was so patient with us and embraced all the things that came with having two daughters and being the only man in the house. From a young age we were exposed to so much culture and vibrancy and our dad always encouraged us to be creative and explore our interests, no matter how much they differed from his own. He was a hilarious, moral and brave man who approached life with a calm and loving outlook; we should all look up to him. I hope that I can reflect some of the things he has unknowingly taught me; like putting others first, gaining perspective and surrounding myself with the people I love. We were always taught to respect and appreciate and love and accept - things that my dad was very good at. When we lost our Nana three years ago, he was the one who picked me up from school and told me the news; and he held my hand the whole way home, despite having to negotiate the gear stick. I wish I had his hand to hold now, but sometimes memories such as that one are comfort enough. The twenty years that I got to spend with him have been so special and full of happy, wholesome, musical memories, and for this I count myself lucky. * Tim was such a gentle, caring man with a keen sense of humour that kept many of us going during difficult and stressful work situations. I met him when I joined Slough Social Services from University in the 1970s. Despite the challenges of work he found time for a pint and fishing. He always carried his fishing tackle and tins of bait around in his mini. Needless to say this didn't do much for the car’s aroma! He was respected and valued by those he worked with, and I know that there will be many who feel a great sense of loss at his passing. * I was struck by Tim’s integrity, his clear thinking, his ability to see the bigger picture and his practical approach to solving problems and working to improve services. * I fondly remember our debriefs at the local pub in the mid ‘80s to the early ‘90s - following some traumatic child protection/mental health intervention. We remember Tim was a very kind and humorous man in his gentle way, I still recall how well he treated his clients. * I liked that he was grounded in reality and his ability to build relationships to good outcomes. * Tim's intelligence and wit always shone through in much of the work and in any discussions we had. 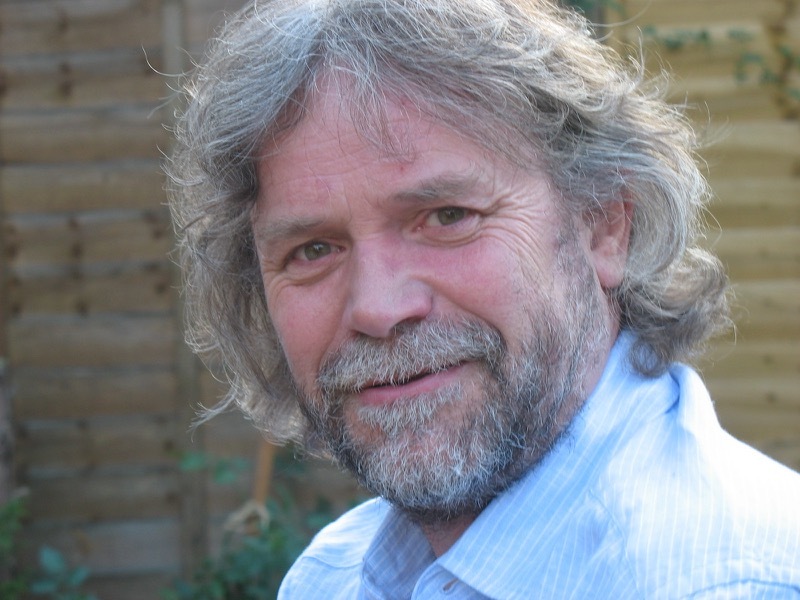 * Tim was a wonderful colleague who taught me so much about the world of social care when I started in consultancy, and on whom I often relied to provide the expertise and insight that could make or break a project. He was always very generous in giving of his time and knowledge, and would bring his special sense of humour to proceedings when we were up against deadlines or trying to make sense of a piece of work. I’m sure lots of people have told you how highly regarded Tim was in his field of work, but I’ll tell you again – he really was! * Tim influenced so many by so much...he had such a broad circle and we all admired, loved and respected him. “Tim was such an engaging man, and I was very fond of him. We worked together a lot over the years on so many issues, and I greatly valued his views and respected his judgement. I am also minded of the so many occasions when we laughed together, and his smile, sparkling eyes, and sense of fun stands out so clearly in my memory. “Tim will of course be such a loss to his family and friends but also to the social care world. My immediate thoughts of Tim are of his sense of humour, his compassion and care, his immense skills and knowledge and of his genuine value base and, for me, his integrity.